Got a large group to cater for? Not a problem with our 120 seat Function Centre. You can cater yourself or ask us about our amazing catering packages. Designed with the modern family in mind, our Superior Deluxe Cabins are a fully appointed holiday destination with all important needs taken care of. Comfortable and spacious, these Cabins are a home away from home, and have set a new standard among Bendigo Caravan Parks. The perfect base for your next great adventure. 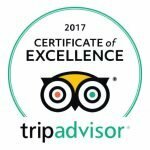 Explore everything Gold Nugget Tourist Park and Bendigo have to offer, knowing you will return to a well appointed, comfortable cabin. Rest, relax and recharge your batteries while enjoying the hospitality Gold Nugget Touris Park is famous for. Whether you're a seasoned adventurer or family looking for a great value getaway, nothing beats driving through the gates of a well manicured, beautifully presented caravan park. Our well proportioned sites have been laid out and designed to facilitate easy parking and we have the team and the tools to make sure you have a great caravan or camping experience. As experienced travellers, we understand the difference little things can make when it's time to pull off the road. Arriving at your destination to be greeted by beautiful gardens and a friendly smile. If towing a van, finding your site well manicured and level, and if towing a big rig, being able to drive through. Or, if staying in a cabin, feeling the cool rush of air on a hot day, a clean, fresh room, and lying down on the bed to find it's really comfortable, with amazing pillows. Just as important is finding out the kids have a big safe space to explore, and realising there is plenty right there in the Park to keep them occupied and out of your hair. 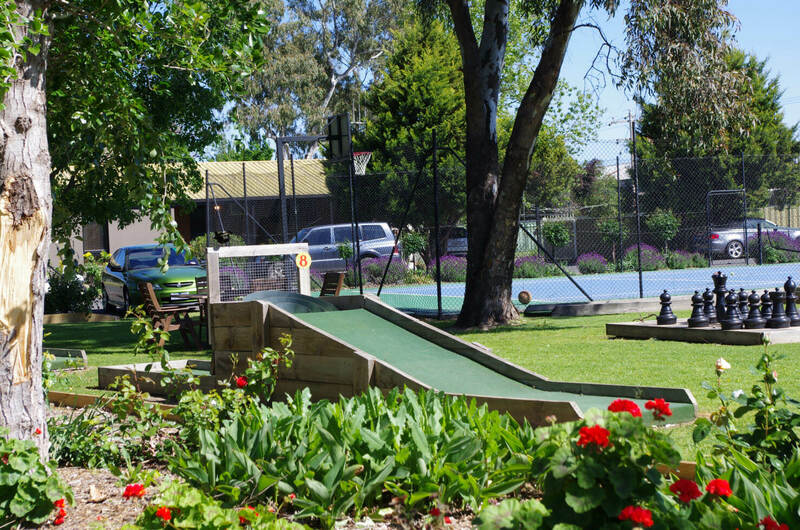 Fun things, like a well stocked games room, Victoria's largest jumping pillow, a tennis court, pedal carts, and free Wifi. On a more practical level, we understand it's the little things like clean amenities, quality outdoor barbecues and helpful staff in the office that can make or break a holiday. So we make sure we get it right, every time. It's how we've become, and why we'll stay, the number one choice in Bendigo caravan parks. Great park could not fault the service and facilities that we had over the last weekend for our caravan club rally. We will be back and have no hesitation in recommending it to others. This Park is the best we have ever stayed in. Great location. Lots to enjoy the stay in entertainment on site. Comfortable and high standard accommodation. Staff excellent. I lost my prescription sunglasses and within hours the Park had rung on my mobile to advise they had found them and they posted them immediately and I received them within three days. Great service! Will stay there again on our next trip to Melbourne. While staying in our caravan at the park we have found the park to be well managed with the grounds kept neat and tidy, camp kitchen was always clean, amenities cleaned every day, Owners helpful, Close to shopping Centre , Fuel, Doctors and would recommend this Park to anyone.